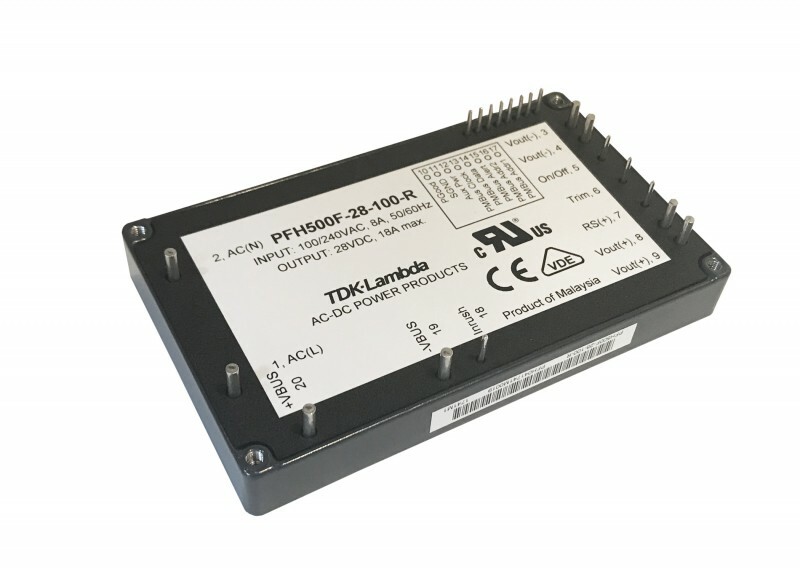 TDK has announced its conduction cooled TDK-Lambda PFH500F-28 AC-DC power modules. The power supplies are rated at 28 V,504 W, feature a compact 4” x 2.4” footprint and have optional Read/Write programming and communication through a PMBus interface. These third generation power supplies are ideal for a variety of applications including COTS (Commercial-Off-The-Shelf), power amplifiers, LED displays and test equipment. The PFH500F-28 series utilizes GaN semiconductors, bridgeless power factor correction, synchronous rectification and digital control, enabling efficiencies of up to 92%. Opto-couplers have been replaced by digital isolators for long term reliability and stability. Accepting an 85 to 265 VAC input, the modules deliver 28V at 18A and can be adjusted from 22.4 to 33.6 V using the trim pin or PMBus interface. Baseplate cooling allows operation at temperatures ranging from -40°C to +100°C. The metal enclosure measures 4” x 2.4” x 0.53” (101.6 mm x 61.0 mm x 13.3mm) and is encapsulated for MIL-STD-810G shock and vibration. Features and options include a 12 V standby voltage with 200 mA (or 2.4 W) capability, remote on/off, pre-biasing start-up, droop mode current share, a DC Good signal, various protections (OVP, UVP, OCP, OTP) and a PMBus interface. The interface can be used to program (read-write) the output voltage and fault management functions and monitor the unit’s operating status. The series has been certified to the IEC/UL/CSA/EN 60950-1 safety standards (62368-1 pending) and carries the CE mark for the Low Voltage and RoHS Directives. Input to ground isolation is 2,500 Vac, input to output 3,000 Vac and output to case 1,500 Vdc. A couple months back I and the Circuit Cellar team attended ESC (Embedded Systems Conference) Boston. Having a booth was new for Circuit Cellar at ESC, so we were very pleased at the positive feedback from people who stopped by our booth—a mix of devoted long-time readers and new faces just learning about us. My thanks to those who became new subscribers on the spot. There are many good reasons for a technology editor like myself to attend tradeshows in our industry. Meeting with technology vendors—the people—face to face is the big one. I don’t care how convenient, realistic or powerful our various forms of electronic communication become. There will never—never ever—be any substitute for meetings done in person and the kind of conversation you can have face to face. Another good reason to attend a show like ESC is to see the “stuff”—the embedded boards, chips, instruments and so on. I can write all day about the size, weight and power of a COM Express board. But it’s kinda nice to feel the size and weight by holding one in my hand. One type of gear that’s enormously important to see close up is test instrumentation products—oscilloscopes, logic analyzers, signal generators and so forth. Fortunately for me, ESC Boston had a nice cluster this year of test equipment exhibitors. Among these were Pico Technology, Rohde & Schwarz, Siglent Technologies, Tektronix and Teledyne LeCroy. Like many of you, as an Electrical Engineering major in college I had a lot of EE labs. And I have to make a confession: Operating test equipment was never my strong suit. I remember my lab partners would seldom let me touch the oscilloscope once they caught on to my poor skills. I vividly remember a pair of them saying “Let’s have Jeff write the lab report. That’s at least something he’s good at.” Fast forward to my early years as a New Products Editor, and I sat through many press tour meetings. In those days, test equipment companies would make great efforts to lug their gear across country just to set it up and show me every last new feature of their new logic analyzer or scope. At this year’s ESC Boston, it was fun seeing the state of the art test equipment on display. And I was able to glean a few insights. At today’s state of electronics technology, it’s quite feasible to have an all-in-one test system. But according to the vendors I talked to, there’s still a desire have a stand-alone box one can call an oscilloscope, for example. Also, even though touch-screen and push-button digital interfaces are mature technologies, many test customers still like feel of turning knobs when it comes to operating test gear. Exemplifying what can be done with today’s technology, Pico Technology’s approach to test gear is to create compact, easily portable box-level systems. Instead of having a screen and arrays of controls, Pico Technology’s test systems instead interface with your laptop, so that laptop provides all the display and control needs for the equipment. Its latest example along those lines is its PicoScope 9300 Series of sampling oscilloscopes designed for measuring high-speed signals. The 9300 Series scopes provide 2 channels, 15 GHz bandwidth and 15 Terasample/s (64 fs) sequential sampling. Rohde & Schwarz in contrast makes more traditional test gear, focusing on the high-performance end of the market. Its latest offering is its enhanced power-of-ten oscilloscope family with 10-bit resolution and large memory depth. According to the company, the power-of-ten oscilloscope families R&S RTB2000, R&S RTM3000 and R&S RTA4000 provide 10 times as much memory as comparable instruments and large 10.1” touchscreen displays. Among the new products on display at Teledyne LeCroy’s booth at ESC Boston was what it claims as the industry’s first HDMI 2.1 Fixed Rate Link (FRL) Video Generator. FRL is the transport mode for HDMI 2.1 which enables transmission of uncompressed 8K video formats to reach link rates of up to 48 Gb/s. As a follow on to its R1SX 1W DC/DC converters, RECOM has extended its portfolio with the R1DX series to cover dual output voltage applications. The R1DX series is ideal for EIA/TIA-232 bus isolation and a wide range of industrial automation control equipment, sensors, isolated operational amplifiers and test and measurement equipment that require bipolar supply voltages. 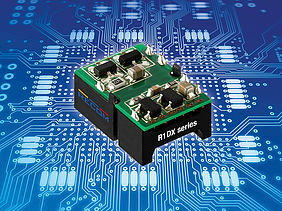 The R1DX series are high-quality open-frame SMD converters, which deliver stable performance on symmetric dual outputs at a very competitive price. They operate from 5V and offer ±5, ±9, ±12 or ±15 dual outputs. There is no minimum load required, and the quiescent consumption is less than 150 mW. The pin-out is industry standard and compatible with the R1S/R1D series. High isolation of up to 3 kV DC (/H option) make them an ideal solution for isolating data transfer lines in legacy communication protocols (such as RS-232) and for isolated DAC and sensor applications. The modules operate at a wide temperature range from -40°C to +95°C without derating and can drive up to ±1000 µF capacitive loads, which is multiple times higher than the competition. The series is fully certified to IEC/UL/EN62368-1 and UL60950-1 and is 10/10 RoHS-conform. Class A EMC conformity requires only an input capacitor and a simple low cost LC filter is all that is needed for Class B EMC. Samples and OEM pricing are available from all authorized distributors or directly from RECOM. Editor’s Note: Ian Broadwell, a postdoctoral fellow at the Department of Chemistry at Ecole Normale Superieure in Paris, wrote the following review of test equipment for circuitcellar.com readers. He is pursuing additional articles about making the right choices in equipment. Whether you are setting up your own electronics workbench or professional design company, you certainly will be thinking about the test gear you should buy. With big-name brands such as Agilent, Fluke, Keithley, Tektronix, and LeCroy (to name a few) aggressively marketing their latest products, it’s easy to think you’ll have to start earning a pro soccer salary and work until you’re 150 to own some of these high-end products. But this is not necessarily true—if you’re prepared to wait and buy used equipment (I will revisit this point later). The diverse spectrum of Circuit Cellar readers will have a wide variety of test and measurement requirements. In this first article about “making the right choice,” I want to introduce myself, the variety of test equipment available, and, finally, the rules I follow in buying test equipment for my electronics lab. As a teenager, I had ambitious dreams of setting up an electronics laboratory. My journey started when I became involved with the local ham radio club, G4EKT, in Great Britain’s East Yorkshire County. At 17, I became a fully licensed A-class radio amateur and started to build some of my own equipment, such as a shortwave valve RF power amplifier (a tube amplifier in the US) and a dual-function standing wave ratio / power meter. After joining G4EKT, I found flea markets and radio rallies a source of electronic and mechanical parts for constructing my own equipment. Money was tight as a teenager, so I could only dream of owning an oscilloscope; having a spectrum analyzer would be like standing on the moon (a very remote possibility). I came to realize it takes years to collect the equipment to set up your lab—and successful people rarely tell you this. After my schooling, I followed the traditional university route—graduating with a BSc in Physics, MSc in Exploration Geophysics, and a PhD in Physical Chemistry. My professional experience has taken me from being a quality-control technician in an analytical chemistry lab to an offshore field geophysicist in northwest Australia. Eventually, I came full circle—back into academia with several postdoctoral positions in England, China, and now France. The diversity of working environments, locations, and multidisciplinary subjects has provided a unique window for viewing the tools-of-the-trade in different disciplines. My fascination with scientific instruments encompasses all domains. Currently, I work in the Department of Chemistry at Ecole Normale Superieure in Paris as a Marie Curie Postdoctoral Fellow. My research interests include instrumentation and development of microfluidic tools for use at the interface between physics, chemistry and biology. Today we take test equipment for granted. We have testers for just about anything imaginable. Where there is something to be measured, there will be a machine to do so—along with 100 patents claiming rights to all the varied ways to measure what you want to quantify. There has never been a better time to find test equipment in the used market, a result of the global economic slowdown and the turnover and exploitation of new technologies. Consider the computer you bought last year; it’s already old, technologically speaking. Technological progress has not always been this rapid. Historically, war or military endeavours have driven technological leaps. Remember the Cold War, the nuclear arms race between the US and USSR from 1947-1989? This period of sustained technological development spurred the Internet and the abundance of test equipment we see today. My favorite test-equipment manufacturer was Hewlett-Packard (HP), which produced a vast range of scientific and laboratory equipment from 1939 until 1999, when the company was restructured. Agilent Technologies continues to develop the company’s former test and measurement product lines, while the new HP primarily focuses on computer, storage and imaging products. Most of HP’s equipment is well-documented, with downloadable manuals. Meanwhile, Web-based user groups are continually contributing to online document repositories. And HP’s equipment was built to last, using military-grade components. That is why 20- or 30-year vintage test equipment is often found in working order. At the high end, test equipment comes in many different forms—from stand-alone, high-precision single benchtop units to dedicated chassis and multifunction rack-mount instrument arrays. HP was one of the first companies to use instrument arrays. This has been further developed by companies such as National Instruments (NI), with its range of chassis and stand-alone data acquisition (DAQ) cards that fit into a desktop PC and form a virtual instrument using NI’s LabVIEW software. Industries often prefer to use modular measurement systems because of the inherent flexibility to tailor the functionality to meet their own specifications. They also conserve space and allow the test stand engineer to automate select tests. At the low end, every electronics enthusiast should aim to have a basic handheld multimeter and an oscilloscope. This is essential equipment to start your hobby. Fluke, B&K Precision, and Extech Instruments are but a few of the established brands. Although company headquarters are usually located in Europe or the US, many companies have design and manufacturing units in Taiwan and mainland China (Hong Kong and Shenzhen). My experience working in China showed me that the mainland Chinese prefer electronic components and instruments made in Taiwan because of its longer history of Western investment. This is not to say mainland products are poor—Rigol is an excellent brand with top-quality components in its products. The message is that you get what you pay for. So, whatever basic equipment you intend to buy, try to purchase it from an established brand that you know will provide at least a one-year guarantee and some sort of manufacturing quality control in its products. A Fluke 115 multimeter, for example, has the essential functions you’ll need and costs around $200. For this price, you should feel confident that the meter will last a very long time if used as intended. 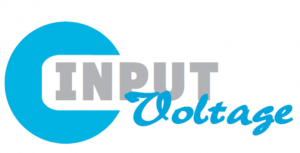 Some of the best information sources for those interested in electronics are subscription electronics magazines such as Elektor, Circuit Cellar, Everyday Practical Electronics and Nuts and Volts. Article technical levels vary widely between the magazines, ranging from absolute beginner to seasoned professional. General magazines are a great introduction for beginners and offer a relatively cheap route into the electronics field or more focused areas. Specialized electronics areas such as audio or industrial have their own publications, including audioXpress, IEEE Industrial Electronics, and the free-subscription online EDN Network (www.edn.com). Speaking to people can be better than wading through magazine pages. Local electronics or ham radio clubs are a rich knowledge source. In fact, they can be more informative than large professional-equipment suppliers who have commercial agreements or little knowledge of different test platforms. In Europe, a number of small equipment brokers survive. They can offer excellent advice on a wide range of equipment issues and projects, because their employees must multitask. Such companies have small profit margins, so their employees often work on projects outside their normal expertise. Brokers also tend to be professionals who have worked in the industry for 20 to 30 years before heading out on their own. After determining your future test equipment needs and drawing up a short list of essential features, it’s time to focus on the brands, models, and vintages that will meet your minimum specifications. Some less obvious things to consider are: the physical volume and weight of the equipment and cooling and power requirements. My lab is situated in a 2-by-3-m room with minimal space and ventilation. Large rack-mounted instruments are heavy and take up a lot of space, which requires careful arrangement to accommodate all the equipment. Additional considerations include: electrical power ratings (daisy chaining too many instruments together from the same socket is a fire risk); sufficient room ventilation to remove hot air from the instruments’ cooling systems; and smells generated by aging, phenolic printed circuit boards. In recent years, I have been collecting a wide range of instruments. My objective has been to build up a general-purpose electronics lab where overall functionality (i.e., the breadth of measurements I’m able to make) is more important than high resolution and cutting-edge accuracy (this is what calibration labs are for). General-purpose semi-professional labs should, in my opinion, be able to tackle a range of projects—be it RF, audio, or control. One of the most expensive pieces of test equipment an RF lab should have is a spectrum analyzer. Recently, I spent a lot of time considering spending my money and realized that such a purchase could require remortgaging my house and would, at minimum, need the boss’s (wife’s) permission. In preparation to achieve the “minimum,” I drew up a series of “feel good factors” to give weight to my case. These factors amount to a list of things you should consider before a purchase (see Table 1). They can serve as a yardstick for reviewing a spectrum analyzer or other pieces of equipment. a) Space utilization Keithley source meters have five instruments in one unit (i.e., one box replaces four or five boxes of its predecessors). This is efficient space utilization. b) Connectivity Does the equipment come with all the latest LAN, Wi-Fi, GPIB, USB, and RS-232 protocols as standard? c) Portability Is the equipment your lab doorstop, or is it small enough to be used in remote locations such as up a cellular phone mast? d) Ease of use Is the equipment intuitive and easy to use, or do you need the latest version of the user guide and service manual (which may not be available) to get going? e) Special features and add-ons/expansions Include extended memory depth or high-speed data streaming, automated test stand, hardware upgrades, and powerful proprietary software-analysis functions (i.e., modifications that allow uses with MATLAB or LabVIEW). f) Resolution/accuracy How much resolution is required and what level of calibration/traceability? g) Price vs. functionality You are either buying the latest feature-packed instrument or used equipment from a broker or eBay. Generally, money will be tight and buying high-end new equipment isn’t an option. Clearly, the used market can offer some good deals. You find two instruments that have nearly the same functionality and both are tempting. Which do you buy? At first, you may reply the more modern one, as there may be less risk of failure.Let’s now consider buying a 20 GHz vector network analyzer. The Agilent 8510c is about half the price of the slightly more modern Agilent 8720a. Both have nearly the same specifications. The 8720a is more compact. The 8510c is definitely larger, more modular (requiring an external signal generator and S-parameter test set), and better built. The latest versions of the 8510c are similar in vintage to the 8720a and differ by only a few years. Agilent repairs are prohibitively expensive for both. The modular nature of the 8510c and abundance of eBay modules translate into increased self-servicing of repairs. If 8510c spares were hard to find, then it would be a good reason for choosing more modern equipment (i.e., 10 years old rather than 25). h) Disposal and small print issues Are there any toxic materials used in the instrument’s manufacturing that will cause future disposal issues? Is it going to cost you more to dispose of it than it did to buy it?EBay dealers only cover equipment faults detected within the initial weeks of a purchase. The buyer will be responsible for any repairs costs that fall outside of this guarantee period. i) Overall value for money Does the equipment have a reputation for being reliable and consistently doing what is written on the packaging, year after year? What’s included with your purchase? Probes? Extended warranty? On-site maintenance? Service contracts?Often, eBay purchases come without peripherals (e.g., probes) and these need to be found elsewhere. Sometimes, there are lucky buys to be had. Generally, most traders only want to maximize their profits, so beware of this. j) Deal or no deal 1) Does the equipment fit your test requirements?2) Is it within your budget?3) And finally, do you really need it? Rules for reviewing equipment are often best understood by offering an example. To foster understanding, I have made a comparison between two spectrum analyzers—a used Agilent 8591a and a new Rigol DSA815-TG. Both have very similar specifications in terms of maximum frequency, dynamic range, and resolution. While the Rigol offers the latest color LCD, portability, and connectivity, the HP provides the reassurance that it still works after all these years. When new, the HP was a very high-end instrument (costing $18,000 in the 1980s). But evolving technology has enabled us to purchase entry-level spectrum analyzers, such as the Rigol DSA815-TG, with virtually the same specifications. This is really mind-blowing. When considering instrument performance by comparing marketing data, you should keep in mind manufacturers will try to legitimately report best values for important parameters. Although the two analyzers appear identical, the phase noise performance of the HP is better than the Rigol. The phase noise represents the short-term stability of the frequency reference and the analyzer’s ability to distinguish weak signals next to a strong carrier. With my preference for high performance, value for money, and a hint of nostalgia, I would buy the HP 8591a rather than the Rigol DSA815-TG. For a “feel good factor” comparison of the HP 8591a and Rigol’s DSA815-TG, see Table 2.
a) Space utilization 163 mm x 325 mm x 427 mm 399 mm × 223 mm × 159 mmThe Rigol is approximately half the volume of the HP. c) Portability Not very portable at 15 kg and has no battery feature. It will accept 86-127/195-250 VAC; 47-66 Hz. Very portable at 7.5 kg including battery and also accepts 100-240 VAC, 45-440 Hz. e) Special features and add-ons/expansions 004 precision frequency reference, 010 tracking generator, 101 fast time domain sweeps, 102 AM/FM demodulation Optional USB to GPIB; tracking generator and preamp are not standard features. g) Price vs. functionality 9 kHz–1.8 GHz spectrum analyzer with tracking generator. This unit was originally sold from 1978 to 1990 for $18,000 including options. Today a good uncalibrated unit on eBay will fetch $1,750. 9kHz–1.5GHz spectrum analyzer with tracking generator currently sells for $2,000, including tax, from both eBay and directly from a Rigol supplier. With this, you are buying the latest instrument 2012 production date. h) Disposal and small print issues Has beryllium oxide RF components inside, which could be a problem for disposal Repairs are only carried out by the manufacturer in Beijing. In 2010, I remember this was the situation. i) Overall value for money Reliable and time-honored equipment made of excellent quality components and built to be repairable. Boasts 8″ WVGA 800 × 480 pixel screen. Has all the bells and whistles that your portable lab needs. Not really built to be repaired by the broker or individual, with all the FPGA and surface-mounted components. j) Deal or no deal Personally, I would buy the used equipment, as there is more margin to negotiate the price and it is built to last. The product will not substantially depreciate, as with a new model such as the Rigol. This excellent equipment built from Analog Devices components is a budget spectrum analyzer and offered at the lowest price in the Rigol range. 1) Is the equipment a fit for your test requirements? 2) Is it within your budget? 3) Do you really need it? If you manage to convince your line manager (or your spouse) that the answer to all three is “yes,” then you’re likely to get the thumbs up to make that important purchase.